Have you ever just stood in front of your kitchen table and screamed? Next time you’re angry or upset about something. You should do it. Sophie and I have gotten into this habit of “shaking it out” whenever we’re upset. It’s a very technical procedure. In which you move your arms and legs every which way, flailing around your apartment (or 1st Avenue) like a lunatic, forcing everyone around you to consider the possibility that you’re seizing. If no one has called an ambulance by the time you’re done. You’re not doing it properly. We’re talking more than just spirit fingers or jazz hands here, people. Your arms should almost be coming out of their sockets. Go big or go home. That sort of thing. Anyway, in addition to recruiting every emergency medical team within a five mile radius, “shaking it out” also has the effect of putting a smile on your face. So do it. Come on. Get happy. What does this have to do with screaming at your kitchen table? Well. I was under the impression that no event that could befall a person would be too big, too all encompassing for “shaking it out”. Then I got $6,000 worth of rejected insurance claims in the mail from my myriad MRIs, X rays, orthopedist and physical therapy visits. In the end. “Shaking it out” paled in comparison. After about twenty calls to every billing department at the Hospital for Special Surgery, I think we may finally have figured out the problem. It has something to do with the fact that my school insurance is completely negligent, worthless, and unwilling to actually cover anything at all whatsoever. And me having to switch to using my father’s insurance, under which I’m still (thankfully) covered. By virtue of the fact that I’m under 25 and still in school. Another perk to this being, of course, that should the claims get rejected again they will be sent to my parents’ house rather than mine. So if you hear some really loud screaming in Queens. You’ll know what that’s about. The moral of all this being that while all of this was still up in the air, I needed comfort food. And by comfort food. I mean pasta. I should tell you that it had been two weeks since I’d had pasta. Two. Weeks. Which, really, is enough to induce kitchen table screaming all on its own. And so when I found some locally grown green beans and grape tomatoes at my nearest Whole Foods. A pasta salad was born. Although it tastes better cold the day after you make it, I have to say that I really did like it. It would be perfect to bring to a 4th of July barbecue this weekend. Or a Canada Day affair tomorrow. (I’m an equal opportunist when it comes to Independence Days). Or, you know. If you feel an urge to stand in front of your table and scream. It’s good for suppressing that as well. I am submitting this to Presto Pasta Nights, which is being hosted by Ruth over at Once Upon A Feast as well as to Deb for Souper Sundays and to Two For Tuesdays! REMEMBER, THIS IS YOUR LAST DAY TO SEND IN YOUR REGIONAL RECIPES SUBMISSIONS! EMAIL THEM TO JHBRUNO87@GMAIL.COM. 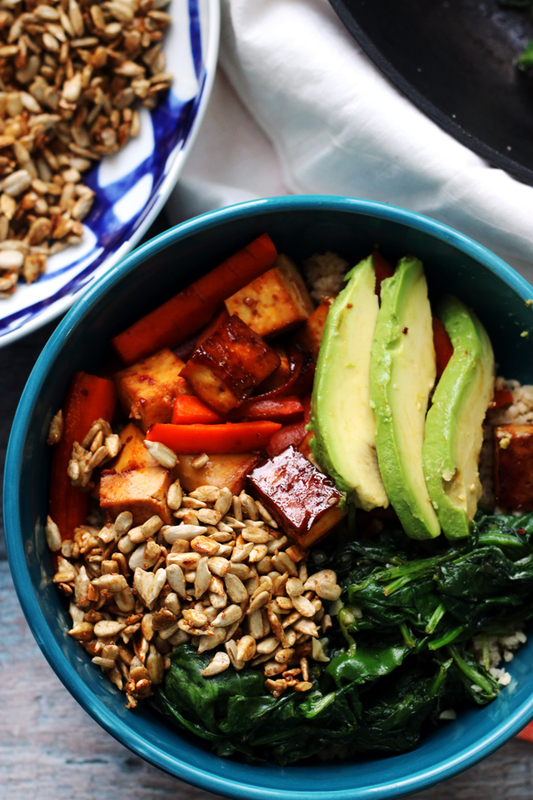 Shaking it out seems to be a solution to putting a smile on our face, but this salad would also do it for me. Get into the kitchen and stop your “bitchen” is my mantra. I don’t know about you, but I have been finding the best grape tomatoes recently. So flavorful! 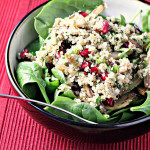 What a nice way to revamp the old pasta salad. I really need to use fennel more often. Also, I love the inclusion of olives! Oh my goodness, Joanne, I’m so sorry that you had to go through such stress with the medical bills… I recently received a $3,000 bill from an orthopedist, saying it had been rejected from the insurance company, and I screamed then too, so I can only imagine how horrible it must have been to get a $6,000 bill… I hope both of our insurance issues are successfully resolved soon… and in the meantime, I’m going to try your “shaking it out” method, which sounds wonderfully liberating! Along with your gorgeous, gorgeous pasta salad, which sounds like the best pasta idea I’ve heard in quite a while… 🙂 YUM! What a hassle, I hope your claims go through! I’ll remember the shake it out or scream method next time I’m upset — definitely better than holding it in, right? 🙂 Or I’ll make this beautiful, comforting pasta dish! That is really too bad that insurance for students is lousy. It just does not seem right. Glad to hear you are still covered under your parents…that is a huge amount of money! That is a huge bill. I hope your dad’s insurance covers it. The pasta salad looks really good! 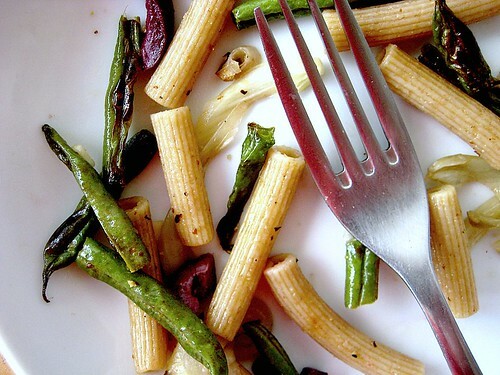 This is such a lovely vegan pasta and that too with local grown beans and grapes…. yummy! You have every right to scream! Good luck with the insurance! I bet this pasta dish really helped, it looks delicious! In any case, pasta is always my comfort food too, and this one looks awesome. I love that green beans are in season now! There’s going to be a lot of them cooking in my house soon, too! 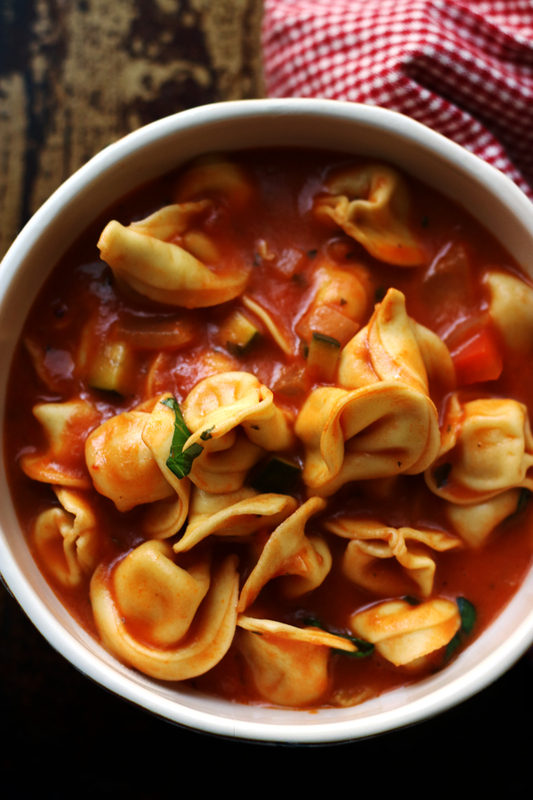 Pasta is the best when it comes to comfort food. The roasted vegetables sound great here too. And, thanks for reminding me that I should use fennel more often! Sounds delicious Joanne, although I never roasted the green bean before, it pretty tempting really. I am so sorry you are dealing with an insurance nightmare…I am an expert on that thanks to being in the hospital for a couple of weeks and nearly needing to declare bankruptcy thanks to some crazy $60 Tylenols…let me know if you need any advice. In the meantime I will be screaming at my kitchen table for other reasons…mainly my child is driving me nuts! 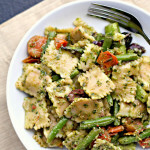 Pasta looks SO good, love the roasted green bean addition. Pasta and salad at the same time. I love it. That reminds me of the 15K of dental bills my dental insurance wouldn’t cover (due to genetics have four baby teeth that didn’t have adult teeth behind and those suckers only last so long and I couldn’t go around toothless. I do like to chew every now and then). Yes I think I ate pasta too. Doesn’t pasta make everything better? Why can’t broccoli make everything better? I have never thought of roasting green beans. Ever! I love it. They look so delicious. I have a bag of green beans at home So I’ll give this recipe a try. Thanks! Hm, sounds like a useful technique! I’ll have to try “shaking it out” next time I’m upset. And really, what a lovely, summery dish! Looks like a great thing for a picnic. $6000?!! Jeez! This is one of those moments I am happy to live in Canada. Complaining about our health system is somewhat of a national past time. Life going on ok…nothing too much to complain about…well let’s discuss the crazy wait times at the ER, the over crowded hospitals, the long wait times for non-critical surgeries and now they want to increase our premiums?! What? Then you read something like this and remember premiums are couple of hundred per year (for a single girl). Granted I am being a bit flip here, and there are some legit concerns but for the most part, in my lucky experience, our system delivers when needed! My family doc has the luxury of ordering tests just to be sure. Case in point I have a knee issue…the doc is 99.99% certain it is patella femoral but just to clear the 0.01% lets do a couple of x-rays that is totaly covered and since it’s not recovering as fast as you are loosing patience how about seeing a specialist? All covered. Bah you got me on the health care rant when i really wanted to say Yum! I never thought of griling beans! hmmm…. I hope your insurance issues are a thing of the past! I’m so sorry to hear about your crazy medical bill ordeal! That is so frustrating!! Definitely worth shaking it out and screaming! I have been known to shake it out and scream more than a few times in my day 😉 But, at least it all resulted in the birth of a wonderful pasta. I love the fennel addition in this dish! Thanks for sharing this at our Two for Tuesdays blog hop! Oh wow. That’s enough to bring on a seizure. My Mom practiced Thai Chi for years and I remember when she first started, there was this deep “hoot” she would expel. As a kid, I thought it was hilarious. Now as a grown up, I understand the release. Insurance companies…dealing with them is almost as bad as visiting the DMV. Most importantly, 2 weeks without pasta? REALLY? Are you okay? There are probably help groups for that. You have to learn yoga. I have no clue about yoga but everyone says, it is calming. Scaring your neighbors as you must do is just not nice. 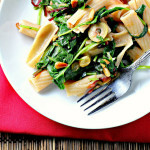 Bring them some of this yummy looking pasta. Ruth is going to love you. yeah i would hit that pasta HARD after that debacle… hell after even seen 4 digits of money i apparently owed would cause me to scream with my arms flailing with pasta hanging out of my mouth. I’m going to have to try the shake it out thing. It sounds like something I need right about now. I hope everything works out for you! I know what a pain these hospital bills can be!! Luckily this is a great choice of pastas! Two weeks without pasta would be reason alone to “shake it out” for me. The medical bills would put me over the edge. Hope it all gets figured out. 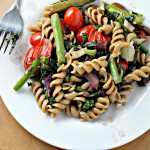 Love this pasta salad, so full of yummy stuff! Two weeks? You!? Well, hopefully this appeased that need for comfort 😉 Seriously, it sounds delicious! Frickin’ insurance companies. A good, long, loud scream goes a looooong way. I know from this from practice. Plenty of it. 😉 Thanks for sharing with Two for Tuesdays this week! This looks delicious!! 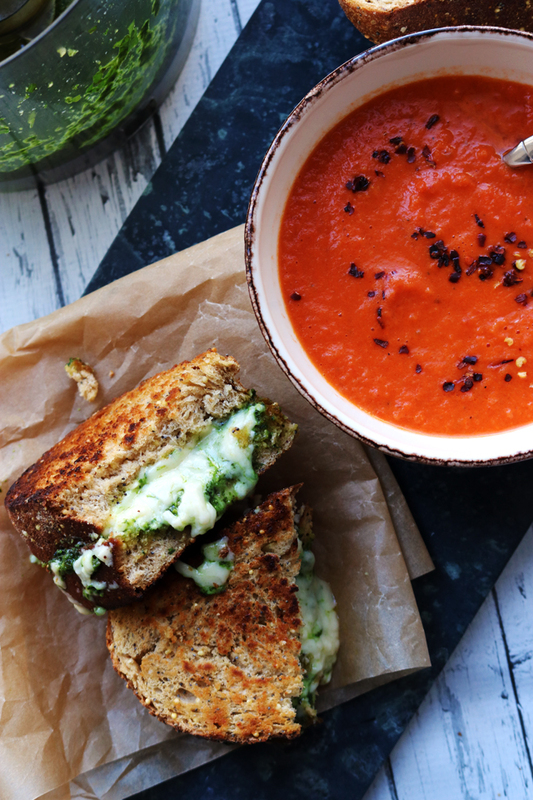 !Healthy and fresh….The Perfect summer lunch. oh no, that is NOT cool. insurance stinks. but i’m glad you got it all worked out. 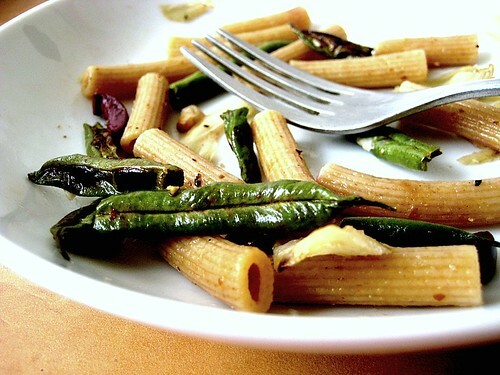 love roasted green beans, great pasta! That pasta salad has a very summery look. $6000… faint… thank god you got covered. am drooling at the pasta, those teeny weeny tomatoes adds a zing to the dish. 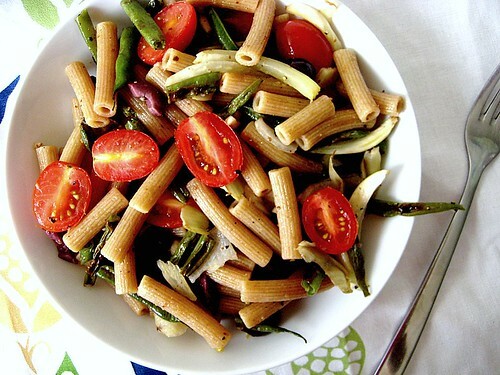 pasta salad looks very healthy n delicious..yummie! I totally hear you on the shaking it out thing. Sometimes a good scream makes it all better. Or at least for that particular moment. Nothing like a good bowl of pasta to help calm you down after dealing with health insurance issues. I seriously hate our system here. I’ve never “shook it out” but I like it. 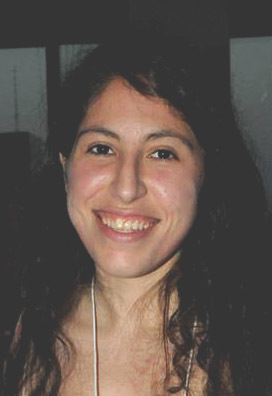 What good news that you’re covered under your family insurance…what a relief! I’ve not had pasta for about a month, I need a pasta fix or I might be “shaking it out”…this sounds like a delicious fix. …am i wrong about that? i hear ya on the praise the lord for JUST making the parental insurance coverage. phew! I love your directly from above photos! They are just beautiful. Delicious pasta! The Regional Recipes is a really, really cool idea, love it!! I just posted a story entitled “made by flour”. Come and visit if you have a moment. i’ve definitely needed to shake it out before, and you’re right–there’s something refreshing about flailing around willy-nilly. meanwhile, i’ve eaten more green beans in my life than two normal people put together but i’ve never had them roasted. interesting salad! 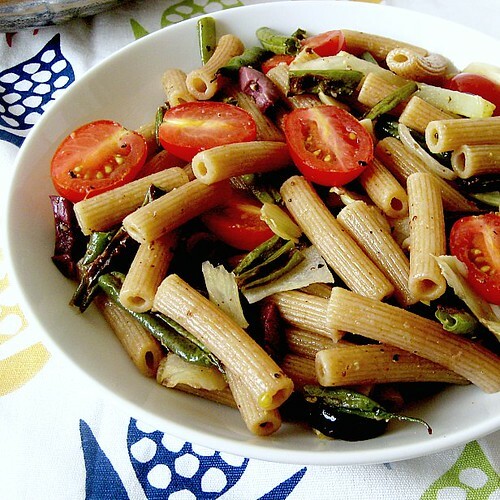 I so love this tasty grilled beans & fennel & veggies pasta dish!! the pasta dish sounds so good & is looking pretty too! Good luck with resolving the insurance problems! GREAT salad! But not so great bills – sheesh, I would’ve keeled over if that happened to me. But yeah, shaking it out is the real deal – nothing makes me happier faster. Oh you do have every reason to scream..in the kitchen, bedroom, bathroom and even during shower….arghhhh…insurance! hateful! Hope the pasta salad did its magic…I’m sure it did. Good heavens! You went two weeks without pasta? What happened? Boo, hiss on all those bills. Let’s hope we don’t hear screams from your parents! I’ve roasted fennel (I have this a couple times a week!) and onions, but sure never thought of green beans! I love this salad. Looks like whole wheat pasta too…which I actually like better. I love pasta! yours look really tempting.. The pasta salad looks great. I used to be impartial to fennel, but now I really like it. Have a great 4th Joanne!! Sooo yummy looking! I want to make this tonight for dinner!! That looks perfect for the beach this weekend. Love the fennel, I am a big fan. I would of been shaking and screaming like a banshee! I don’t blame you one bit for needing the comfort of pasta…Delicious, roasted veggie-packed, flavor-filled pasta! So happy you’ve found a way to release the bad and let in the good. What ever works, you have to do it. 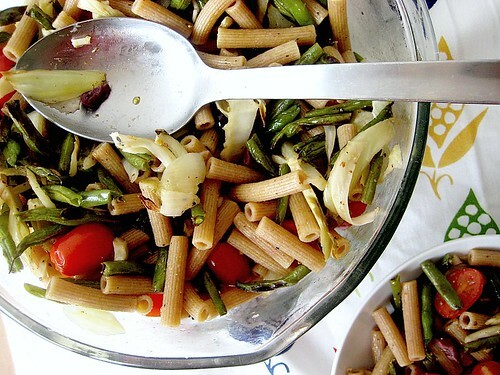 I love fennel, it’s just on the top of my list- your pasta salad looks delicious. mmm. Fennel is one of my new favorites! 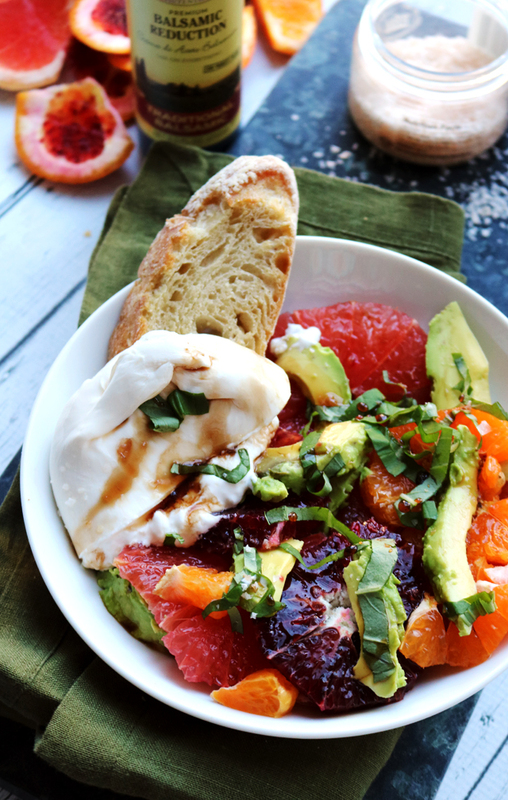 I have yet to try it with colorful summery stuff like this, sounds delish! Great pasta dish and wonderful photos. Which one will I choose for the Presto Pasta Night Roundup? Shaking it off definately helps, cooking mainly chopping or making milkshakes definately does it for me too… Thank goodness you have 2 insurences. Screaming doesn’t work for me. I like throwing things. Papers, pencils, food, etc. I once got mad at something and threw a bunch of tupperwares across my kitchen. It felt good. This salad looks awesome. I love fennel in pasta dishes. And man, your pictures are just so amazing! Looks like you got tons of sunlight in your kitchen — lucky girl! Une salade délicieuse pour ces jours de grosses chaleurs. Oh my God, I would have screamed, too. And probably done more than that. I hope all those bills work out. and no screaming in Queens can be heard, either. There are definitely times when a good scream is worthwhile, as is a good cry. I say, just let her rip. Better than keeping it all bottled up. Believe it or not, I’m not a fan of pasta salad. I know. I think I’m the only one. But this one with fennel and string beans is making me sing! PS Deep breathing or a marathon of Friday Night Lights helps too. And I thought I was upset over the $350 bill I got today from last year’s emergency room visit when a car didn’t run over my youngest son’s foot and it wasn’t broken. Geesh! $6000!!! first: i HATE this health care system. i hate how it is so hard to get any sort of medical treatment. it’s like they want us to be sick AND poor! wtf. girl. so much STUFF to tell you about this dude! man! he’s younger tho. ehh. you put it perfectly. i hold back beacuse i DON”T want to spill everything and have them run away scared because it’s just too much to handle. i don’t know if i’ll ever find someone i’ll feel comfortable telling EVERYTHING. but hopefully there IS a person out there that will know it all and BE THERE for me in those hard times that will come. i know i’m jaded because i’ve met so many bad guys. i can’t help it, i’m going to close up and it’s up to him to show me he’s different. Two weeks w/o pasta?! 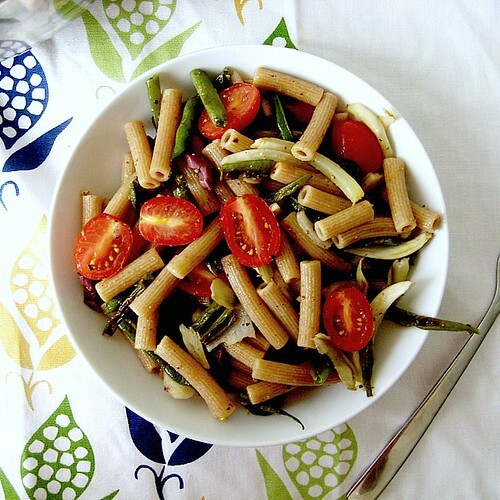 This salad looks delicious–loving the fennel in it especially and the mix with the green beans and tomatoes is yum. 😉 Thanks for sending it to Souper Sundays. glad to find your blog..good work! following you..
Oh wow, my mouth is watering just looking at this!